The Royal Northern College of Music is seeking to appoint a dynamic experienced administrator who has a passion for popular music education and the energy and drive to be part of the development our 4-year BMus Popular Music degree. The role will be two days per week (Monday and Wednesday) job share with the current post holder. The post holder will provide administrative and secretarial assistance to the full and part-time staff with in the Popular Music department. 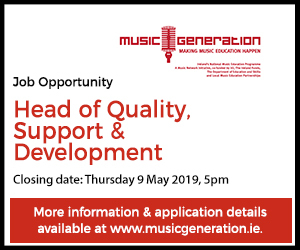 Working closely with the Head of Popular Music, the post holder will assist in the co-ordination of all aspects of the principal study provision in the department, and will act as a point of contact for students dealing with queries relating to aspects of their studies. The ideal candidate will have excellent organisational and managerial skills, outstanding communication and IT skills, a can-do attitude, and a flexible, efficient and effective approach to their workload.